Marjorie Weibe-Reed serves as an Aviation Architect at Reynolds Smith and Hills in Jacksonville FL. She has over twenty years of professional architectural practice, project management and interior design experience and has a passion for accessibility and equitable design issues. She is formally trained in architecture and holds both a Bachelor and Master Degree in Architecture from the Savannah College of Art and Design. She has studied both Marketing Management and Historic Preservation at Savannah Technical College. Marjorie remains the President of Access Design Group, an architecture and interior design firm in ¬Savannah GA, that focuses on integrated Universal Design, Accessibility, Architecture and Interior Design¬ solutions. Erik Higgins has over 11 years of experience in architecture, design, and planning for healthcare, higher education, and corporate projects. After graduating with a Bachelor of Architecture from Rensselaer Polytechnic Institute in upstate New York, Erik was recruited by Gresham, Smith, and Partners where he practices today. In addition to leading the Corporate + Urban Design Architecture Team, he is involved in all phases of a project as well as play multiple roles from designer to manager. Erik is also currently serving on the Board of Directors for Downtown Vision, Inc. in Jacksonville, Florida. Brandon has been at RS&H for the past 12 years working on a wide range of project types but focusing on science and research facilities. He was a part of the team who designed the Riverside YMCA where he also works out, and no, he doesn’t get a discount for being the architect. For the past three years he has teamed up with coworkers and The Independent Living Resource Center to create Halloween costumes for children in wheelchairs. Costumes have included the Star Wars Tie Fighter, a John Deere Tractor, the Sleigh from Frozen, and Mickey’s Roadster. He was the president of the Emerging Design Professionals from 2013-2015 and served as a chapter director of the AIA in 2017. Outside of the office he paints and builds furniture at his studio The Union 3B, an artist collective housed in the first concrete structure built in Jacksonville after the great fire of 1901. You can also find him gardening in his front yard as he volunteered his lawn to become the first house of Fleet Farming, a local non-profit focused on creating a sustainable community of locally grown food. Andrea McCain, AIA, is an emerging architect who is actively engaged in the profession and the community. Originally from Satellite Beach, Florida, Andrea earned her Bachelor of Design and Master of Architecture degrees from the University of Florida. Growing up on the Space Coast and doing internships at Kennedy Space Center fostered a love for space and science, and as part of her Master’s research project, Andrea developed architectural strategies for reuse and revitalization of NASA’s historic buildings. Today, she is working on similar projects at Johnson Space Center, designing laboratories for the next generation of NASA missions. After graduation, Andrea moved to the historic Springfield neighborhood of Jacksonville, where she enjoys the unique 100-year-old houses and close-knit, walkable community. 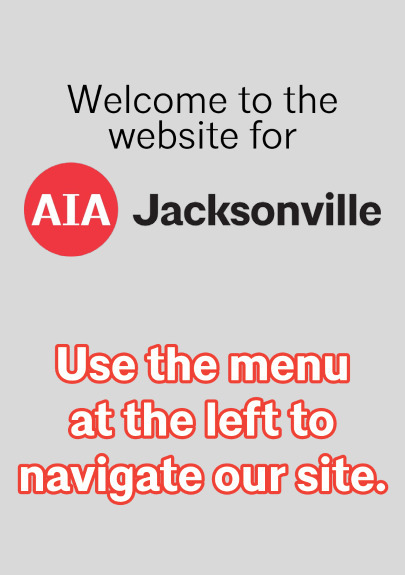 Now working as an architect and project manager at RS&H in Jacksonville, Andrea is active in the AIA and a founding member of the Women in Architecture chapter of AIA Jacksonville. As an architect, she specializes in laboratories and cleanroom facilities and enjoys working alongside scientists and engineers to develop design solutions with long-term and far-reaching impacts. Jon has developed a wide body of experience working on municipal and transportation projects, high rise and super-tall commercial mixed-use towers, core and shell office towers, heath science projects, medical facilities, multi-family residential towers, dormitories and retail projects. Since joining Bergmann Associates in 2012, he has worked primarily in the commercial business sector to facilitate an all-encompassing approach to prototype design and project management. With experience on numerous overseas projects, he has developed an acute understanding of working collaboratively with local owners, fabricators, and stakeholders to leverage regional conditions to meet international quality and performance standards. Jon has served as a design critic at the Massachusetts Institute of Technology and his collaborative work at both SOM and at MIT has been commended by the Center for Architecture and the Skyscraper Museum in New York, NY. At the conclusion of his graduate studies, he was the recipient of the Takenaka Corporation traveling internship award, which entailed 6 months of work /study in Osaka, Japan where his focus was on traditional methods of Japanese building construction. Micheline Hirezi Diegan is a Senior Project Architect at Bergmann Associates and has been practicing in Jacksonville since 1998. She has 23 years of experience in Architecture and Project Management. Before moving to Florida, she worked in San Francisco, Dubai, Abu Dhabi and Kuwait where she gained a vast experience in interior design, and business development, in addition to her architectural career with Middle Eastern large firms affiliated with Skidmore Ownings & Merrill and Dupont. Her diverse project experience encompasses Mixed-use, Multi-Family, Assisted Living, Memory Care and Senior Independent Facilities, Timeshare Developments, Retail, Banks, Medical and Dental Offices. Micheline served the local Chapter in the role of IDP Coordinator for 17 and currently serves as a Chapter director. She enjoys networking, serving the community, and attending the Symphony & Broadway Musicals. In her free time, if not in the gym, you would find her reading a book or painting portraits. Her passion is traveling and meeting people of different cultures. Micheline holds a bachelor of architecture from University of Louisiana in Lafayette. Born and raised mostly here in Jacksonville, Jonathan’s interests focused mainly on building small scale models growing up, which opened his mind to the three-dimensional aspect of spaces. That interest led to a career in architecture. Jonathan is a Project Architect at Haskell with 11+ years of architectural experience. ¬He has a variety of project experience including federal, commercial, and higher education facilities from concept through project completion. ¬In addition to being a licensed architect in the state of Florida, he also holds a LEED AP with Specialty credential and is well-versed in sustainable design with a broad range of experience in federal sectors. He is also a big proponent of utilizing Building Information Modeling (BIM) in his projects. Jonathan holds both undergraduate and professional degrees in architecture from Florida A&M University. Michael A. Byrd, Sr. is President of Michael A. Byrd, Architect with 35 years of practice in the architectural field. He recently left the City of Jacksonville where he was the Assistant Chief Building Official and has started up his firm doing a large variety of project types. He has been a senior management architect at the senior project manager and executive/management level (Program Manager, Director of Design and Director of Architecture) specializing in all phases of project delivery thru construction administration and close out. He has extensive knowledge of all aspects of professional services from marketing through project close-out, including design, codes and technical expertise.¬ He has been an expert witness, performed building condition surveys, evaluations, moisture discovery investigations, ADA compliance and roofing design/inspections and constructability review on a large number of major projects throughout the US. Michael enjoys playing golf, tennis and fishing in the river/intercoastal waterway and off shore.¬ He is an artist, ballroom dance, contractor and real estate developer. Michael was past president of the local AIA chapter in 2008 and has served the Chapter and FLAIA and local chapter for at least the last 35 years in a number of positions. Michael holds a Bachelor of Science in Architectural Studies from Florida A & M University (FAMU) and a Bachelor of Architecture from Auburn University (AU). With 10 years of architecture experience, Jennifer is a Senior Architect at Haskell. ¬She has been in Jacksonville for the last six years.­ Prior to moving back to Florida, she spent the early part of her career at architecture firms in New York City, New Jersey and Pennsylvania.­ She has a variety of project experience ranging from hospitality, to commercial, to industrial, and she enjoys the aspect of the discovering solutions for a project through the process of drawing and a creative solution when it benefits the client.­ When not on the tennis court, she can be found volunteering her time and energy in philanthropic community organizations such as the Junior League of Jacksonville and the Rotary Club.­ Jennifer holds a Bachelor of Design in Architecture from the University of Florida and a Master of Architecture degree from the University of Pennsylvania.